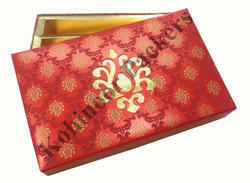 We, Kohinoor Packers, established in the year 1992, are known for manufacturing, exporting, supplying, wholesaling and trading a wide range of the finest quality of Fancy & Handmade Boxes. 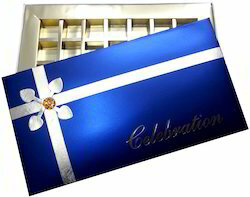 The product range offered by us consists of Sweet Boxes, MDF Boxes, Chocolate Boxes, Fancy Sweet Boxes, Wooden Boxes, Wooden Trays, Dry Fruits Boxes, Wedding Card Boxes, Mithai Cups, Bhaji Boxes, Mithai Boxes, Glitter Boxes, Laddu Box, Metallic Boxes, Printed Muffin Cups, Sweets Paper Cup and much more. 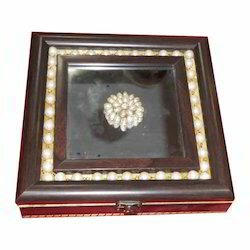 Their soft texture, impeccable finish, lightweight, eye-catching appearance, distinctive design and resistance to moisture, makes these fancy & handmade boxes for packaging of various gift items. 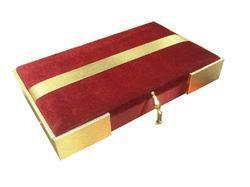 Offered by us at industry leading prices, these fancy & handmade boxes are highly appreciated among our customers. With the aid of our excellent storage facility and large production capacity, we have been able to manage the bulk demands in the most efficient manner. 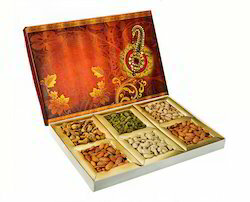 Haldiram’s, Bikanerwala and Rameshwar’s are some of our valuable customers associated with us over a long period of time. 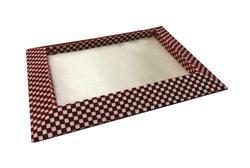 Owing to our excellent transportation facility and wide distribution network, we have been able to deliver the offered range of fancy & handmade boxes within the assured time frame.